Trustworthy information, straight from the source. Education is the first step in an empowering healthcare plan. Learn more about diabetes from prevention to diagnosis and treatment. In type 1 diabetes, the body’s immune system destroys the cells that release insulin, eventually eliminating insulin production from the body. Without insulin, cells cannot absorb sugar (glucose), which they need to produce energy. Type 1 diabetes usually starts in childhood or young adulthood. Type 1 diabetes cannot be prevented. Type 2 diabetes can develop at any age, becoming most apparent during adulthood, however, type 2 diabetes in children is on the rise. Type 2 diabetes accounts for the vast majority of people who have diabetes. 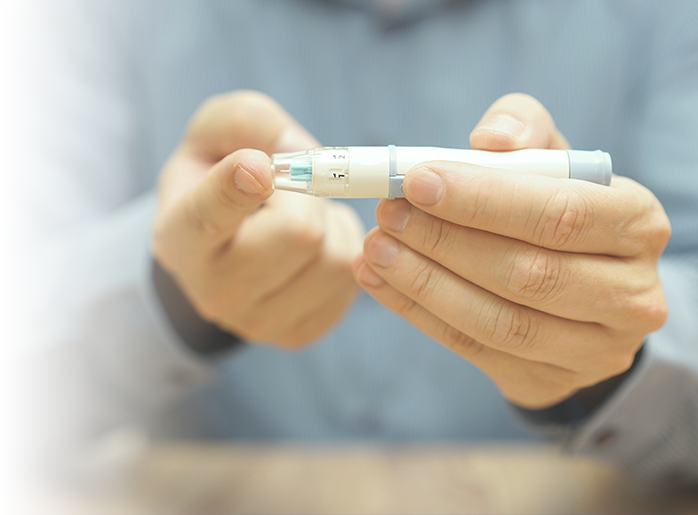 In type 2 diabetes, the body isn’t able to use insulin the right way (insulin resistance occurs). As type 2 diabetes worsens, the pancreas may make less and less insulin (insulin deficiency). Type 2 can be prevented through lifestyle modifications, including weight, diet and exercise (30 minutes a day/five days a week). Laboratory tests, including fasting blood sugar. Insulin injections or using an insulin pump. Monitoring blood sugar levels several times a day. Eating a healthy diet and monitoring carbohydrate consumption. Regular physical activity and exercise. Eating healthy meals and snacks. Monitoring your blood glucose (using a home blood glucose meter). What are my diabetes care options? Diabetes care usually starts with your primary care provider. You (or your child) may be referred to an endocrinologist who specializes in diabetes care, among other disorders. Soon after diagnosis you (or your child) will likely meet with a diabetes educator and a dietitian to get more information on managing your diabetes. You are having trouble staying awake or trouble being woken up. You have fast, deep breathing. You have belly pain, not feeling hungry, and vomiting.